Here is another quick & easy Valentine made with just three dies: Memory Box Cupid Heart, Impression Obsession Cupids & Poppy Stamps Heart Lattice Background. 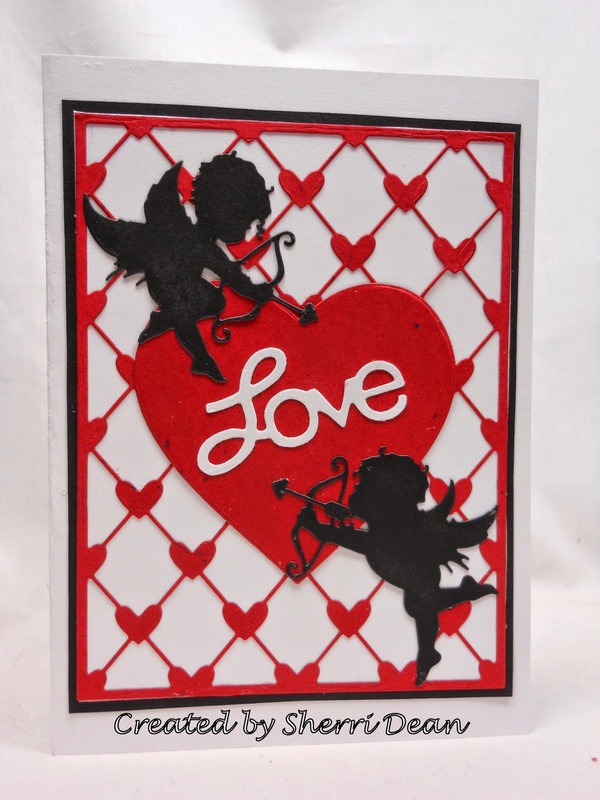 This lattice background is amazing & I've found I use it on all kinds of cards, not just Valentines! If you want a versatile background, think about adding this one to your collection! It's beautiful in white or pastel shades too & makes a perfect backdrop for floral cards as well! Don't forget to check out the new challenge beginning tomorrow at the Dies R Us Challenge Blog! Join in on the fun for a chance to win a gift voucher to the store! I'll be back next week with another bit of inspiration for you!